Statue of Unity, turning out a preferred tourist site of the country. Statue of Unity is turning out to be preferred tourist site of India. 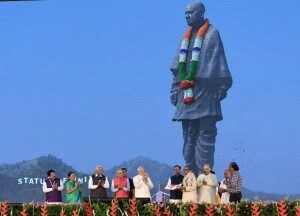 Statue of Unity not only charms the tourists but generate an increasing revenue for Gujarat state, The site in a short span of time has generated crores of rupees as earning for the state.